A Northern brewery with a long tradition. The Tornion Panimo, brewery in the Arctic, has a long tradition. Originally founded in 1873, the brewery has been through a lot of change – decades under the Russian Empire, the Independence of Finland, two Great Wars and Prohibition. In 2010 the brewery in the Arctic temporarily came to a halt, when its owner at the time, Hartwall, then owned by the multinational company Heineken, decided to close the brewery in Tornio and relocate all business to the south. In Finland the decision was met with dismay. In 2016 the Tornion Panimo got a new chance when, thanks to a successful crowd funding campaign, the brewery was revived. All and all, more than 1900 investors took part in the re-launching of the renowned brewery. The new beginning of the Tornion Panimo received wide acclaim. The Tornion Panimo is characteristically a Northern brewery. The brewery aims to acquire all the necessary ingredients from the north. At the moment this is not possible as all the hops used in Finland are imported from elsewhere. Malt can grow in North Ostrobothnia. Ingredients are constantly being researched at the Tornion Panimo. 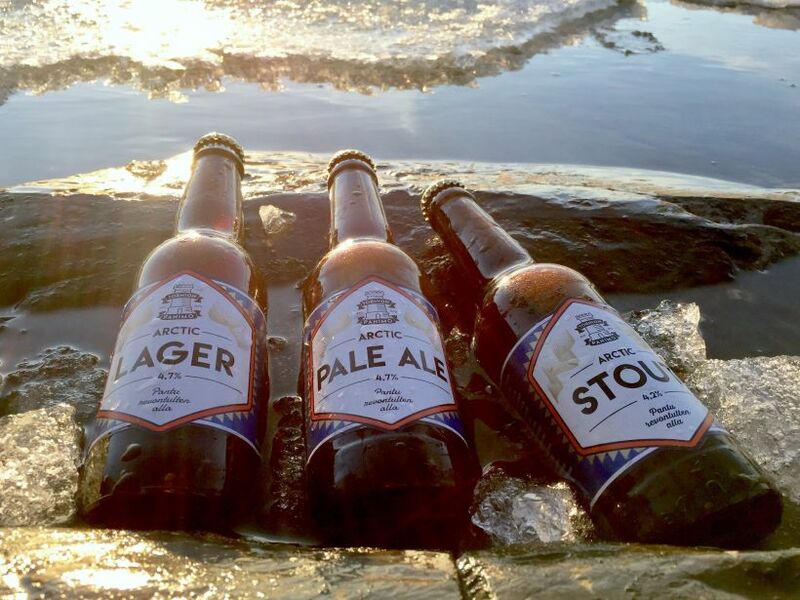 The intention is for the beer brewed in Tornio to be made from exclusively northern ingredients within just five years. At the moment, new and large brewery machinery is being installed at the Tornion Panimo. After the renovation the Tornion Panimo will be one of the largest small breweries in Finland. However, beer is still brewed manually in Tornio. The Tornion Panimo is an uncommon brewery among Finnish small breweries, because it not only produces beer, but also strong liquors. The Tornion Panimo aims to become a large small brewery, but they don’t even want to become a large scale industry.